Bob Watson Service Centre, experts in logbook service, car service & repairs. Best car mechanics in Hawthorn East, Camberwell, Balwyn, Kew & Canterbury area. Call 03 9882 2451 for roadworthy certificate, brakes & clutch repairs, pre-purchase inspection, car exhaust repairs & all mechanical repairs. Professional Information:Bob Watson Service Centre, experts in logbook service, car service & repairs. 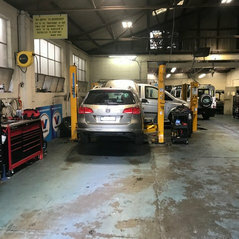 Best car mechanics in Hawthorn East, Camberwell, Balwyn, Kew & Canterbury area.